Section 1 - The Board of Directors shall consist of ten members elected by the membership for a term of two years, beginning July 1st, five members being elected each year, together with the immediate Past President and other officers who qualify for membership on the Board of Directors pursuant to Sections 2, 3, 5, and 6 of Article I hereof. At the regular meeting one month prior to the annual meeting, the nominating committee, comprised of five members elected by the Board of Directors, shall present its nominees for candidates for the Board of Directors; nominations may be made in any number by the members from the floor. These nominations shall be placed on a ballot and voted for at the annual meeting. The five candidates securing the highest number of votes shall be declared elected. A member who has served a full term as president, president-elect or member of the Board elected by the membership, may not succeed himself or herself in that office. Section 2 - Within one week after the annual meeting, the new Directors-elect and the current Directors who still have another year of their term to serve, shall meet and elect for a term of one year, beginning July 1st, the Vice President/President-elect who shall be known as the President-nominee until taking office, Secretary/Treasurer and Sergeant-at-Arms. All officers are to be chosen from either current or former Directors or Directors-elect elected to the board by the membership. If a former board member is elected to an office he or she becomes a current board member for the term of office, commencing the 1st of July after his or her election. The Vice President/President-elect must have served at least one full year as Director, elected by the membership, before taking office. The Vice President/President-elect will serve a one-year term in that office, and then automatically become President. Section 3 - (a)If the office of Vice President/President-elect becomes vacant, it shall be filled by action of the Board of Directors for the unexpired portion of the term, after which time the new Vice President/President-elect shall automatically become President as though he or she had completed one full year as Vice President/President-elect. If the vacancy occurs between the annual meeting and July 1st, only the Directors-elect and current Directors who still have another year of their term to serve shall vote. (b)In the event there is a vacancy of the office of the Presidency, it shall be filled by the Vice President/President-elect if the required PETS training has been completed. If the Vice President/President-elect is unable to fill the unexpired term of the President, the Board of Directors shall hold a special election to fill the vacant office of President from the pool of Past Presidents. Section 4 - The officers-elect and Directors-elect do not have a vote on Board business until their term begins on the 1st of July following their election, other than the Directors-elect being able to vote on the election of officers as outlined herein. Section 5 - A vacancy in the Board of Directors or a position of Director-elect, shall be filled by a special election of the membership. If the vacancy in the Board occurs between the annual meeting and July 1st, one of the new Directors-elect, who was elected at the annual meeting, shall be selected by the Board to fill the vacancy, plus serve the term for which he or she was elected. A vacancy occurring less than two months prior to the annual meeting shall not be filled until the annual meeting. Section 6 - A vacancy in the position of any officer or officer-elect, other than President or Vice President/President-elect, shall be filled by action of the Board for the unexpired portion of the term. If the vacancy occurs between the annual meeting and July 1st, only the Directors-elect and current Directors who still have another year of their term to serve shall have a vote. A vacancy in the office of President, or Vice President/President-elect, shall be filled in accordance with Article I, Section 3, of these bylaws. Section 1 - The governing body of this club shall be the Board of Directors, elected in accordance with Article I of these bylaws. Section 1 - President. It shall be the duty of the President to preside at meetings of the club and board and to perform such other duties as ordinarily pertain to the office of the president. Section 2 - Vice President/President-elect. It shall be the duty of the Vice-President/President-elect to preside at meetings of the Club and Board of Directors in the absence of the President and to perform such other duties as ordinarily pertain to the office of vice-president. The Vice President/President-elect shall also serve as a member of the board of directors and shall perform other duties as prescribed by the President. Section 3 - Secretary/Treasurer. It shall be the duty of the Secretary/Treasurer to keep the records of membership, record the attendance of meetings, send out notices of meetings of the club, board and committees, record and preserve the minutes of such meetings, make the required reports to RI, including the semi-annual reports of membership, which shall be made to the general secretary on January 1st and July 1st of each year, make the monthly report of attendance at the club meetings which shall be made to the district governor within 15 days of the last meeting of the month, and perform such other duties as usually pertain to the office of Secretary/Treasurer.. It shall also be the duty of the Secretary/Treasurer to have custody of all funds, accounting for same to the club annually and at any other time upon demand by the board and to perform such other duties as pertain to the office of treasurer. Upon retirement from office, all funds, books of accounts or any other club property shall be turned over to the incoming Secretary/Treasurer or to the President. Section 4 - Sergeant-at-Arms. The duties of sergeant-at-arms shall be such as are usually prescribed for such office and such other duties as may be prescribed by the President or the board. Section 1 - Annual Meetings. An annual meeting of this club shall be held at the first Tuesday lunch meeting in December each year, at which time the election of directors to serve for the ensuing year shall take place. Section 2 - The regular weekly meetings of this club shall be held on Tuesdays at 12:30 p.m.
Due notice of any changes in or canceling of the regular meeting shall be given to all members of the club. All members excepting an honorary member or member excused by the Board of Directors of this club pursuant to subsection (b) of Section 3 of Article 9 of the Rotary Club Constitution, on the day of the regular meeting, must be counted present or absent, and attendance must be evidenced by the member’s being present for at least 60 percent of the regular meeting, either at this club or at any other Rotary club. Section 4 - There shall be regular meetings of the Board held each month at a time and place decided upon by the Board. Special meetings of the board shall be called by the President, whenever deemed necessary, or upon the request of three members of the board, due notice having been given. Section 5 - A majority of the board members shall constitute a quorum of the board. Section 1 - The admission fee and annual dues shall be such sums as are recommended by the Board and approved by the membership. Section 2 - The membership dues shall be payable quarterly on the first day of January, April, July, and October, with a portion applied to each member’s subscription to The Rotarian magazine. The business of this club shall be transacted by via voice vote except the election of officers and directors which shall be by ballot. (c) Where feasible and practical in the appointment of club committees, there should be provision for continuity of membership, either by appointing one or more members for a second term or by appointing one or more members to a two-year term. (d) The President shall be ex officio a member of all committees and, as such, shall have all privileges of membership thereon. (e) Each committee shall transact such business as is delegated to it in the bylaws and such additional business as may be referred to it by the President or the Board. Except where special authority is given by the Board such committees shall not take action until a report has been made to the board and approved by the Board. Section 1 - Club Administration Avenue. This avenue will be responsible for financial issues of the club, maintenance of bylaws, weekly programs and club awards. As such, committees should include at a minimum a Financial Management Committee, Bylaws and Parliamentarian Committee, Program Committee and Club Awards Committee with other committees created as necessary. (a) Financial Management Committee - This committee shall insure the timely and accurate filing of all financial reports required by governmental regulation; shall provide the internal auditing of the club’s financial records, and shall provide such other financial and club management services as may be requested by the club President or the Board of Directors. The committee shall consist of three members, one of who shall be the club Secretary/Treasurer, and who will be its chairman; one of whom shall be a club member with professional experience in finance, taxation, tax law or accounting, and one of whom shall be a past club President. The President, subject to the approval of the Board, shall appoint the two committee members in addition to the Secretary/Treasurer, who is elected. (b) Bylaws and Parliamentarian Committee - This committee shall be responsible for advising the President and the Board on all matters involving the constitution, bylaws and policies of the club as well as the R.I. Manual of Procedure and Robert’s Rules of Order and for reviewing the constitution, bylaws and policies of the club to insure their consistency with the constitution and bylaws of Rotary International and the R.I. Manual of Procedure. (c) Program Committee - This committee shall select speakers for the regular and any special meetings of the club. As such, it will also coordinate with designated members responsible for club assemblies, craft talks and the sports report. (d) Club Awards Committee – This committee is responsible for monitoring progress towards the annual presidential club citation and working with all club members to achieve the award. It is also responsible for working to advocate for the club and club members in receiving appropriate district awards. Section 2 – Membership Development and Engagement Avenue. This avenue is responsible for recruiting, retaining and educating members of the club. As such, committees should be include at a minimum a Membership Development Committee, Classifications Committee, Attendance and Participation Committee, Fellowship and Social Committee, and Frank Sherman Award Committee with other committees formed as necessary. In addition, a club trainer will be appointed by the President and with Board approval who will serve to educate all club members on all issues about Rotary as well as to educate committee chairs, avenue chairs and club officers of the duties of their office. (a) Membership Development Committee - This committee will be in charge of the membership process including reviewing applications and vetting proposed members, fireside chats, giving the charge and new member orientation. They shall work with the classifications committee to target any identified unfilled classifications for directed recruitment and shall take positive action to initiate and present to the Board the names of suitable persons to fill unfilled classifications. (b) Classifications Committee - This committee shall consist of 3 members as appointed by the President with emphasis on preserving some continuity of membership. It shall conduct on or before September 30 of each year a classification survey of the community; shall compile from the survey a roster of filled and unfilled classifications using the guide to classifications; shall urge upon the members the importance of proposing names for such unfilled classifications as have been declared open by the Board of Directors; shall review, where necessary, existing classifications represented in the club, and shall counsel with the Board on all classification problems. 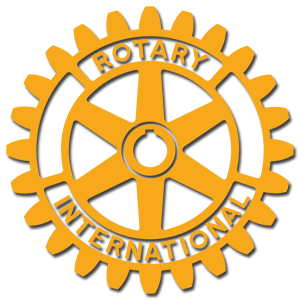 (c) Attendance and Participation Committee - This committee shall devise means for encouraging attendance at all Rotary meetings - including attendance at district conferences, intercity meetings, regional conferences and international conventions, by all club members. This committee shall especially encourage attendance at regular meetings of this club and attendance at regular meetings of other clubs when members are unable to attend meetings of this club. The committee shall also keep all members informed on attendance requirements; promote better incentives for good attendance, and seek to ascertain and remove the conditions that contribute to unsatisfactory attendance. In addition this committee shall devise and carry into effect plans to provide club members for each meeting to (a) lead the National Anthem if included in the program; (b) lead the Pledge of Allegiance; (c) offer the invocation, and (d) introduce visiting Rotarians and guests. (d) Fellowship and Social Committee - This committee shall promote acquaintance and friendship among the club members, promote participation by members in organized Rotary recreational and social activities, and do such work in pursuance of the general object of the club as may be assigned by the president or the board. (e) Frank Sherman Award and Rookie of the Year Committee – this committee shall select a worthy club member to receive the annual best Rotarian award for the club as well as the Rookie of the Year award to a member less than 12 months in the club who has had a significant positive impact on the club. Section 3 – Public Relations and Communications Avenue - This Avenue shall devise and carry into effect plans to give the public information about Rotary, its history, object and scope, and also to secure proper publicity for the club and its events. As such, it should include at a minimum a Media Relations Committee, Advertising and Marketing Committee, Web and Social Media Committee, Gear and Rotarian Committee, and Good Government Award Committee with additional committees formed as necessary. (a) Media Relations Committee – This committee shall be responsible for all media engagement of the club including publicity for speakers and special events as well as publicizing accomplishments of the club and its members. (b) Advertising and Marketing Committee – This committee will assume responsibility for securing advertising of club events as well as marketing for participation at community fundraising and service events in coordination with the Community Service Project Committee and the Fundraising Committee. (c) Web and Social Media Committee – This committee with be responsible for the club web site both innovation and maintenance. In addition, this committee with engage social media as appropriate in coordination with the Advertising and Marketing Committee. (d) Gear and Rotarian Committee - This committee shall be responsible for weekly publication of the Gear. In addition, this committee shall stimulate reader interest in The Rotarian magazine; sponsor a magazine week; arrange for brief monthly reviews of the magazine on regular club programs; encourage the use of the magazine in the introduction of new members; provide a copy of the magazine for non-Rotarian speakers; secure international service and other special subscriptions for libraries, hospitals, schools and other reading rooms; send news items and photographs to the editor of the magazine, and in other ways make the magazine of service to both club members and non-Rotarians. (e) Good Government Award Committee – this committee will select an annual worthy citizen of the community, whether a Rotarian or not for the award signifying a significant positive impact on the greater Jacksonville jurisdiction. Section 4 – Service Projects Avenue – This avenue will be responsible for all community, national and international service projects including fundraising and distribution of charitable grants. As such, it should include at a minimum a Community Service Project Committee, Fundraising Committee, Charity Committee, and International Service Project Committee with additional committees as necessary. (a) Community Service Project Committee – This committee shall be responsible for all community service activities of the club including special events. 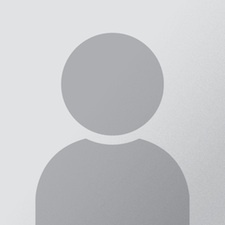 (b) Fundraising Committee – this committee shall be responsible for all fundraising efforts of the club. This will include working closely with the Community Service Committee in coordinating fundraising efforts. (c) Charity Committee – This committee shall select appropriate charities annually to receive proceeds from the club fundraising efforts. (d) International Service Project Committee – this committee shall devise and carry into effect plans which will guide and assist the members of the club in matters relating to international service. It is responsible as needed for obtaining available district and Rotary International grants, with the assistance of the District and Global Grants Committee, to support international service projects. Section 5 – Rotary Foundation Avenue – This avenue will be responsible for promoting Rotary Foundation giving of club members. It will oversee and assist with district and global grant applications. It will also be responsible for educating all club members about the Rotary Foundation. As such, it should include at a minimum a District and Global Grants Committee and Foundation Giving Committee. (a) District and Global Grants Committee – this committee will assist with grant applications as requested, encourage grant submission and champion the club’s efforts at the District and RI level. (b) Foundation Giving Committee – this committee will encourage all club members to be sustaining members, Paul Harris Fellows and other level contributors to the Rotary Foundation. Section 6 – New Generations Avenue – This avenue will be responsible for encouraging programs related to youth development including leadership development and service above self within our community to include young adults up to age of normal entry into a typical rotary club. As such, it should include a Earlyact/Interact/RYLA Committee, Rotaract Committee, Satellite Committee, and Youth Exchange Committee with additional committees as necessary. Earlyact/Interact/RYLA Committee – this committee with be responsible for initiating new clubs, sustaining existing clubs and also working with school counselors to identify students to attend the annual RYLA weekend. Rotaract Committee – this committee will work closely with the Rotaract club president to assist as requested in recommending and engaging speakers for meetings, encouraging attendance at meetings including lunch club meetings and supporting Rotaract social events and service projects of the club. Youth Exchange Committee – this committee will be responsible for overseeing the youth exchange program including identifying host families, engaging the student, encouraging the student to attend and participate at club meetings and assisting the student in any other ways as necessary. Section 1 - The Secretary/Treasurer shall deposit all funds of the club in some bank to be named by the board. Section 2 - All bills shall be paid only by checks signed by the Secretary/Treasurer upon vouchers signed by any two officers. Per Board action July 26, 1966, a certified audit or report of the Secretary/Treasurer must be rendered annually to a committee who would review such report and recommend acceptance of the Board. Section 4 - The fiscal year of this club shall extend from July 1st to June 30th, and for the collection of members’ dues for RI, the district and the club shall be divided into quarterly periods. The payment of per capita dues and magazine subscriptions to Rotary International shall be made on July 1st and January 1st of each year on the basis of the membership of the club on those dates. Section 1 (1) The name of a prospective member, proposed by an active member of the club or by the Membership Development Committee, shall be submitted to the board in writing, through the Secretary/Treasurer. The proposal for the time being shall be kept confidential except as otherwise provided in this procedure. (2) The board shall request the classifications committee to consider and report to the board on the eligibility of the proposed member from the standpoint of classification, and shall request the Membership Development Committee to investigate and report to the board on the eligibility of the proposed member from the standpoint of character, business and social standing, and general eligibility. (3) The board shall consider and approve or disapprove the recommendations of the Classification Committee and Membership Development Committee and shall then notify the proposer, through the Secretary/Treasurer, of its decision. (4) If the decision of the board is favorable, the proposer, together with one or more members of the Membership Development Committee, shall inform the prospective member of the purposes of Rotary and of the privileges and responsibilities of membership in the club, following which the prospective member shall be requested to complete and submit an application for membership to the Membership Development Committee and to give permission for his or her name and proposed classification to be published to the club. (5) If no written objection to the proposal, stating reason, is received by the board from any member of the club within 10 days following publication of the name of the prospective member, upon payment of the admission fee (except for Honorary membership), as prescribed in Article V of these bylaws, shall be considered to be elected to membership. If any objection has been filed with the board, it shall consider the same at any regular or special meeting of the board and shall ballot on the proposed member. If approved by a majority vote, the proposed member, upon payment of the prescribed admission fee, shall be considered to be elected to membership. Following the member’s election to membership as herein provided, the club Secretary/Treasurer shall issue a membership card to the member and shall report his or her name to the general secretary of RI. (a) Be governed by the Bylaws of the Rotary Club of South Jacksonville except as modified in Article XI Section 2 herein. (b) Be considered members of the club. (c) Be between ages of 30 and 45 inclusive at the time of application. This provision does not preclude a prospect between the ages of 30 and 45 inclusive from being proposed for Active membership in the club. (d) Subscribe to the Object of Rotary. (e) Demonstrate proven leadership experience. (f) Be subject to modified dues and fees as determined by the board. (g) Be nominated for membership by either an Active or Satellite member in good standing with the club. (h) Be elected for membership via the method outlined in Article XI Section 1. (i) Be assigned the classification of “Satellite Member”. (j) Be counted towards total club membership and reported to RI for same. (k) Be counted towards a quorum of club members for purposes of voting. (l) Be eligible to vote in matters duly presented before the club for consideration. (m) Be afforded other rights and privileges as Active members except as follows. (a) Be eligible to serve as an officer of the club. (b) Be eligible to nominate prospects for Active membership in the club. (3) Satellite Members shall voluntarily vacate the Satellite classification on or before their 46th birthday. Those Satellite Members wishing to transition to Active status shall notify the Secretary/Treasurer of the club. The Satellite Member’s information shall be reviewed by the Membership Development and Classifications Committees and proceed through the membership election process as identified in Article XI Section 1. Satellite Members may initiate transition to Active status at any time prior to their 46th birthday. Those Satellite Members not wishing to transition to Active status shall submit their resignation to the Secretary/Treasurer of the club. (4) Satellite Members collectively shall work together to further the ideals of Rotary in the community, regionally and internationally. Satellite Members shall function as a committee of the club with oversight as determined by the board. Address or other program feature. These bylaws may be amended at any regular meeting, a quorum being present, by a two-thirds vote of all members present, provided that notice of such proposed amendment shall have been mailed to each member at least ten days before such meeting. No amendment or addition to these bylaws can be made which is not in harmony with the club constitution and with the constitution and bylaws of Rotary International. Section 1 - The Secretary/Treasurer shall maintain a book of current club policies, including rules and procedures. These policies shall be established by a majority vote of all the members of the Board. Section 2 - These policies shall be reviewed at least annually by a Policy Committee appointed by the President. They may be changed from time to time by a two-thirds vote of all the members of the Board. Robert’s Rules of Order govern this organization in all parliamentary situations that are not provided for in the law or in our charter, bylaws, adopted rules or by special rules of procedure of RI.